I look back on it as one of my biggest parenting mistakes ever. Perhaps it is my worst mistake. At the time, I wasn’t sure what was the best thing to do. As I reflect, I regret the way things panned out. I regret the path I allowed my child to take. Or the path I left my child on, rather. Kaitlyn was in first grade. She had taken dance since she was three years old and had always loved it. While we loved the studio we were at while she was young, Kaitlyn proved to outgrow it. At the end of her Kindergarten year, we decided it was time for more challenge. After some asking around, we settled on a studio that had been open for 30 plus years. I heard great things. Soon after starting the dance year, Kaitlyn started to express dislike for dancing. This was quite the shock since she had always loved it. I decided to hang around dance instead of dropping her off and running errands. I couldn’t go in the room, but I could sit in the waiting room and from there, I could hear everything. What I heard was shocking. The teacher was unkind, to put it mildly. She told these little six year olds things like “That wasn’t good enough!” and “If you aren’t good enough, you can’t be on the front row!” “We will do this over and over until every person has it perfect!” These things were all said in a gruff tone. I wouldn’t have been happy with the way the teacher was talking to the girls under any circumstance, but this was a recreation class of 15 six year old girls. They were not competitive dancers. Kaitlyn is a peacemaker who does not like conflict. Her way of dealing with conflict is to avoid it. She wanted to avoid it by quitting dance. I hoped Kaitlyn would be put on the front row so I could go complain to the studio owner about this teacher. I knew if I complained after she had been put on the back row I would look like a disgruntled parent. The next week, the girls were placed and Kaitlyn was put in the front and middle. Hurray! But I discovered a major road block. This mean teacher was the studio owner’s daughter. I felt stuck. I decided against saying anything. And that is my moment of regret. I regret not going to the studio owner to stand up for my daughter. I was not alone. The class was full of parents who were upset and frustrated. We sat by week after week while our girls were verbally abused by this teacher. By the end of the year, only 5 of the 15 girls were willing to continue dancing at that studio. Most were unwilling to continue dancing at all. Kaitlyn was one of them. The interesting thing is that McKenna also danced at this studio. She also had a daughter of the owner. McKenna’s dance experience was very different. She LOVED her teacher and her teacher was so sweet. She loved dance. But I couldn’t risk one of my daughter’s getting the mean teacher again, so we jumped studios. I apologized to Kaitlyn and promised to never leave her in a situation like that again. I talked Kaitlyn into trying dance one more year on the condition that it would be a different studio. Within a month of being there, Kaitlyn begged to add a second dance class. This is the girl who was ready to quit dance and walk away forever. As a third grader now, she still takes dance and absolutely loves it! The business you send your child to and the teacher/coach your child has are both HUGE contributors to the quality of experience your child will have. Those two factors will determine if your child enjoys the activity or not. It isn’t a simple thing to teach or coach a child. You need to be in control, yet have love and respect for the students. You need to expect the best from the child, but not perfection. You need to encourage and uplift. You need to believe in the child. You also need to push the child. The child will not enjoy it deeply if the child is not pushed to try harder and be better. Who your child has as a coach or teacher does matter. Your child’s teacher or coach will shape your child’s view of work ethic and effort. McKenna takes gymnastics. In her gymnastics experience, she changes coaches every time she moves up a level and also each summer and each new school year. She has had coaches who pass off anything close and coaches who will only pass off perfection. Some coaches are noticeably better at getting the children to do their best and learn the most they can. She has had coaches who really seem like a waste of time and money. The right coach or teacher is a big deal. Not only does your child learn about the sport/instrument/etc. from that person, but life lessons. 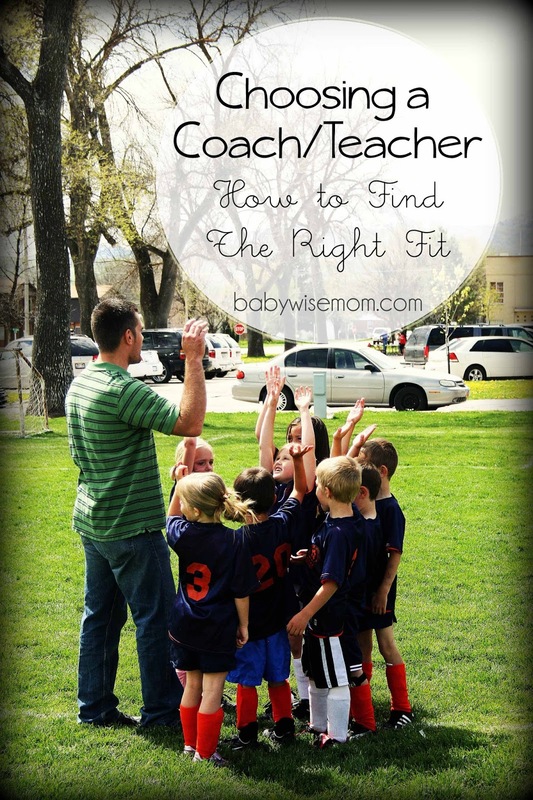 So how do you find the right fit? And what do you do if the fit is not good? Ask your friends and neighbors where they recommend. Ask people who are similar to yourself or who have children with similar dispositions. If you are type A and ask your type B neighbor, she will have a different measuring stick than you will. When you are considering a coach, studio, or teacher, treat it like a job interview. Ask their policies on dress, attendance, behavior, skills, etc. Ask about philosophies and goals. 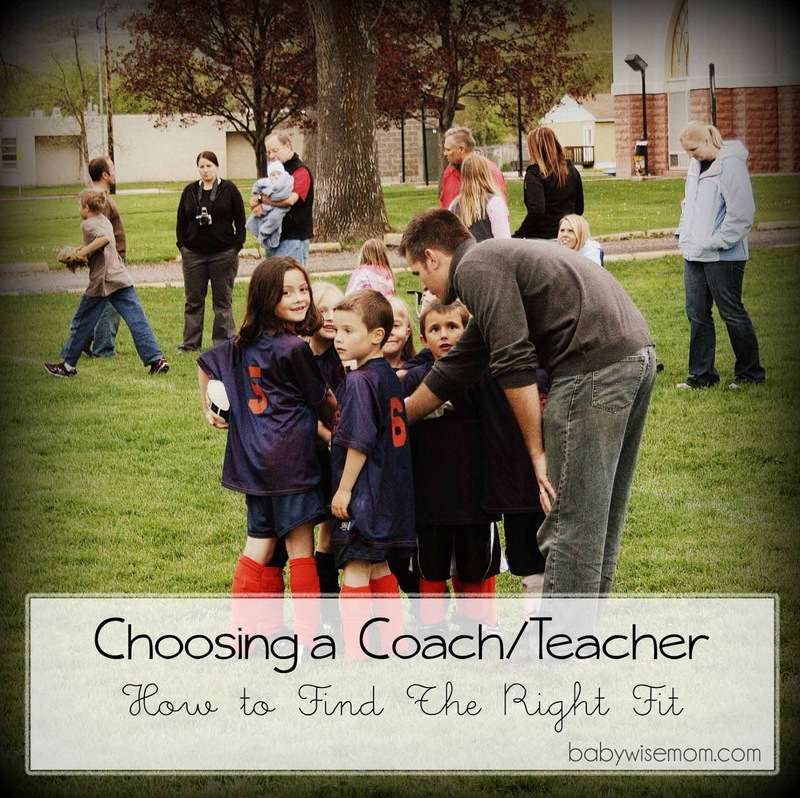 When Kaitlyn wanted to start playing competitive soccer, my husband talked extensively with her potential coach. After talking with him, Nate felt good about him. Nate felt the coach’s values, goals, and coaching style were in line with what we wanted. We have not been disappointed! Once you have a good feel for who you might like, give it a test run. Many studios have summer camps. This is a great way to try a place out without committing to a full year. Some places allow you to try a class out before committing. Our gymnastics gym is this way. My children have been able to try a class 1-2 times before deciding if they want to do it. Most things start out fun, but once the honeymoon wears off, there can be a “I don’t want to!” come from your child. Most adults I know who were above-average good at something wanted to quit at one point and their parents wouldn’t let them. In general, it is wise to have a “no-quitting” policy. You can reevaluate at a natural break–like in between seasons or before a new payment is due. We are big on no-quitting. What I didn’t do with Kaitlyn was allow for extenuating circumstances. In retrospect, I should have looked around for a studio that would have accepted her halfway through the year (many do) and moved as soon as the winter recital was done. I knew it was a bad situation, I knew she had always loved dance, and I knew she was not being lazy or dramatic. If you are having frustration with a volunteer coach for a recreational sport like soccer or basketball, have some patience for the coach. It is very easy to sit on the sidelines and criticize a coach’s decisions. Being a coach means you have a lot to think about all at once and it is harder to focus on your players and the game before you while also taking a step back and think things through. If you don’t like it, resolve to be the coach next time. I actually think anyone who complains about a volunteer should step in and do the job the next time. People will usually stop complaining once they realize what it is like to do the job. You even need to have patience for those getting paid sometimes. At our current dance studio, they have been open for only a few years. There are growing pains associated with a start-up. I have recognized they are figuring some things out, and the owners have recognized those things also. They are evolving and changing and going through trial and error. In the meantime, the dance instruction is great and Kaitlyn loves to dance, so we can be patient with things like revues that go way too long while they get it figured out. Like I said, I regret not sticking up for Kaitlyn when she was in that situation in dance. I did what I thought was best at the time. I view that teacher as a bully and often bullies make life harder on whistle blowers. I didn’t want her making things even more miserable for Kaitlyn because her mom complained. Since then, however, I have not hesitated to go to an authority over a teacher if I feel the teacher is out of line. It has only happened once since then and the outcome was positive. Don’t let every bad look ruffle your Mama feathers. Your child isn’t perfect and neither is your child’s teacher. Only address real problems, not every time an ego is hurt. In life, we deal with difficult people and difficult situations. Learning to deal with those can be a great time to help your child grow. Don’t rescue your child from every teacher or coach who isn’t perfect. Give the situation a fair shot and only take action when your child is being negatively impacted in a long-term way. Children need to learn who to handle personality conflicts. If your child is in a short-term activity, like a sport that lasts two months, I would recommend just sticking it out unless you think it is really super damaging. After each session of whatever you are doing ends, evaluate the situation. Is your child’s piano teacher still a good fit? If not, find a new one. Like I said, we initially loved Kaitlyn’s first dance studio. It was a great studio for a young dancer. She got to the point, however, that she outgrew it. She needed more of a challenge. In the end, you want a teacher or coach who will inspire your child to love the activity. You want your child to learn and grow, but you don’t want your child pushed so hard that your child loses a love for the activity. Do your homework and trust your gut. Today the ladies from the BFBN are talking about different aspects of trusting your children in the care of others. Go visit their blogs to read more! Follow Babywise Friendly Blog Network.’s board Childcare on Pinterest. 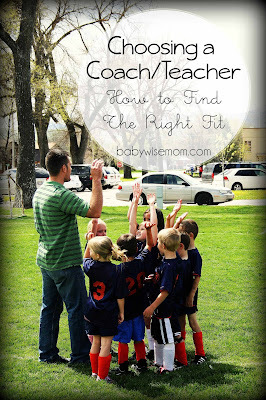 Follow Babywise Friendly Blog Network.’s board Sports, Dance, and Athletics on Pinterest.